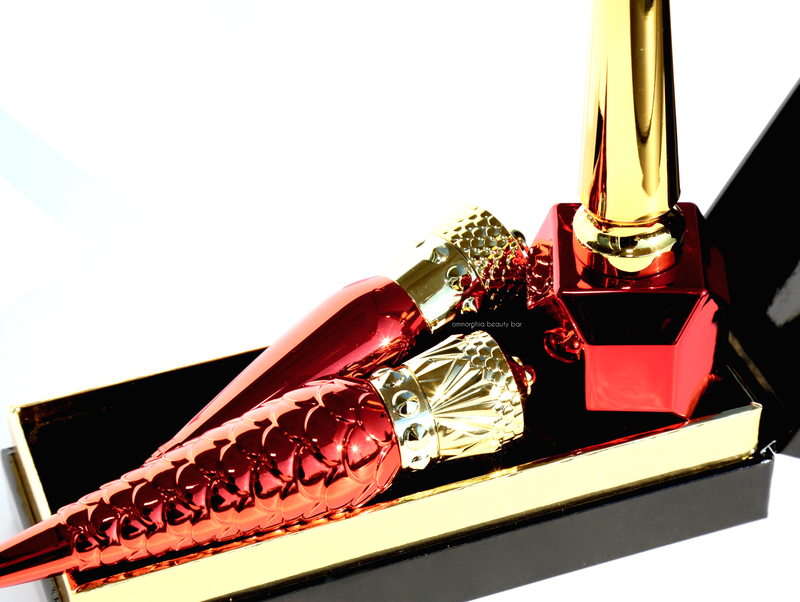 There’s luxury beauty … and then there’s Christian Louboutin Beauté. 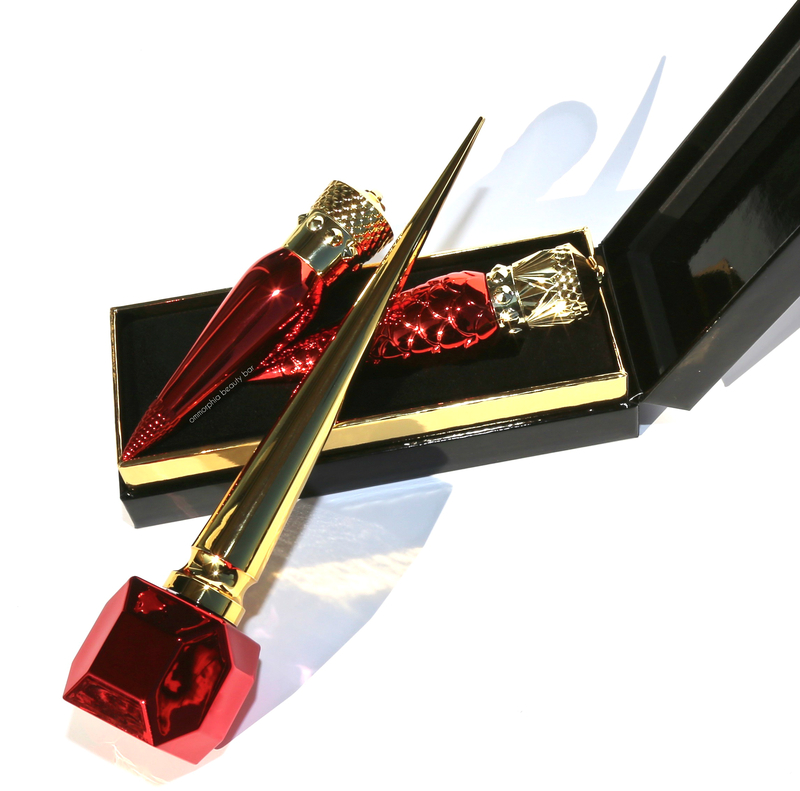 With an ‘Ali Baba’s’ cave of beautiful objects at his disposal to draw inspiration from — as well as to gift his loved ones (so need to get my name on that list) — the designer recently launched Rouge Louboutin Metalissime, a limited edition capsule collection in time for the holidays. You better pray you’re not on the naughty list. 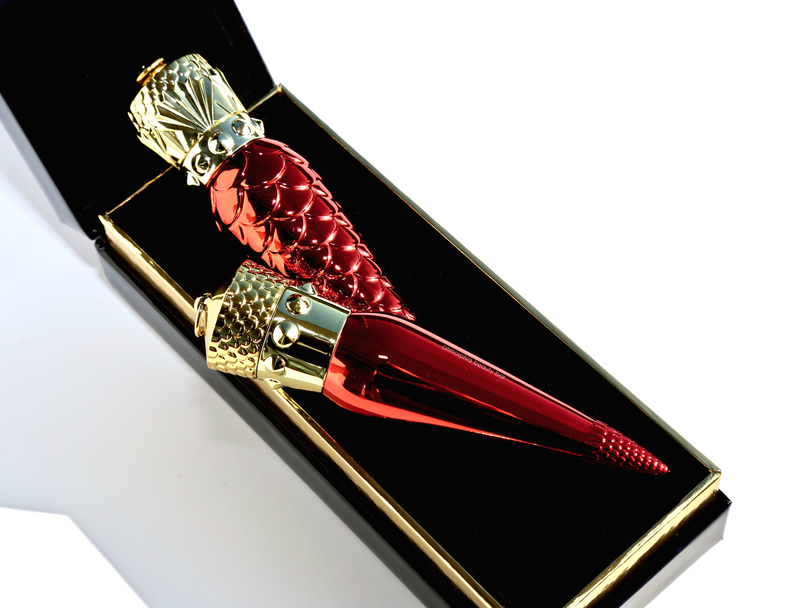 Rouge Louboutin Metalissime Loubilaque Lip Colour (CAN $120.00) | With its jewel-like sculptural exterior that begs to be displayed (and preferably under glass with an alarm system), it’s actually the product itself that’s even more impressive. 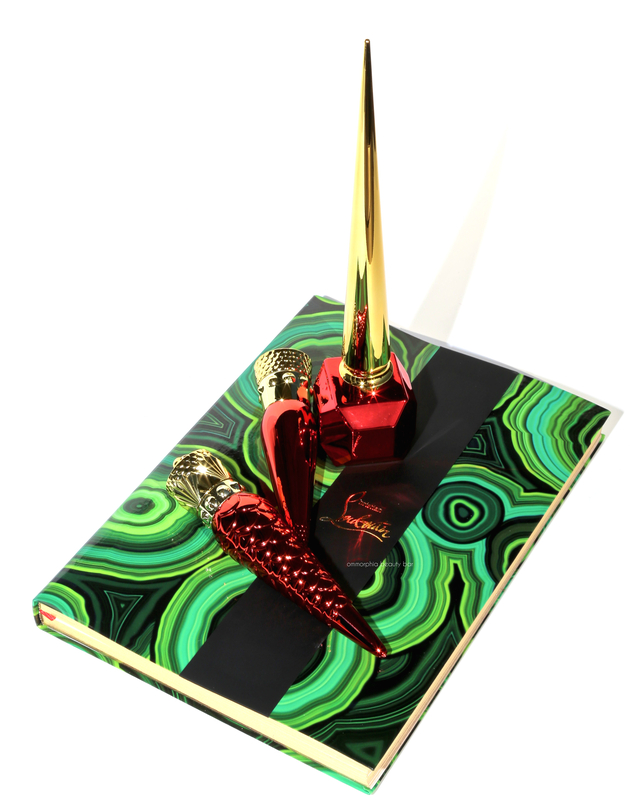 The formula has been created with special effect coated pigments for a patent leather finish and HD shine — and trust me, the finish is ridiculously brilliant. 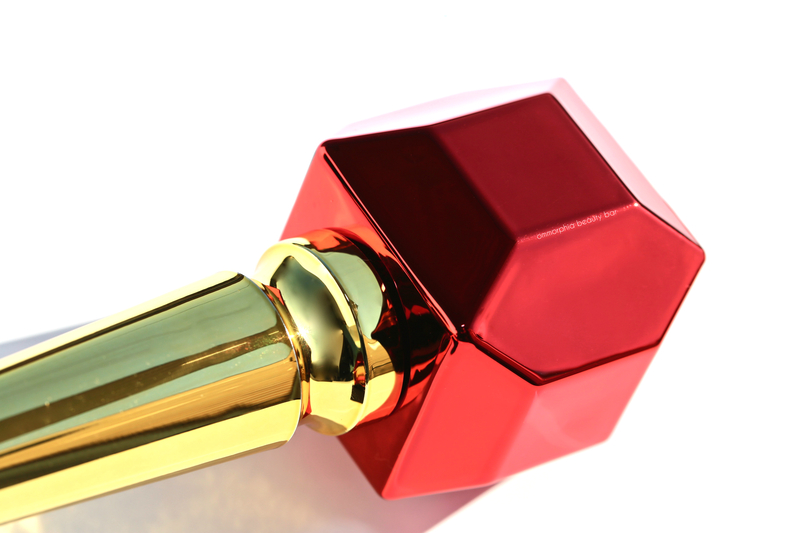 A soft red hue filled with non-gritty fine red shimmer, full coverage is easily achieved with just one swipe — the colour is THAT densely packed — and the tapered soft applicator makes it easy to get to every part of the lips. With such a high saturation of colour, you’d think that the feel upon the lips would be thick, yet somehow it’s totally lightweight; sorcery. Staying power is amazing, and once the majority of shine is gone you’re left with a deep rose stain. Note that this product is lightly scented. 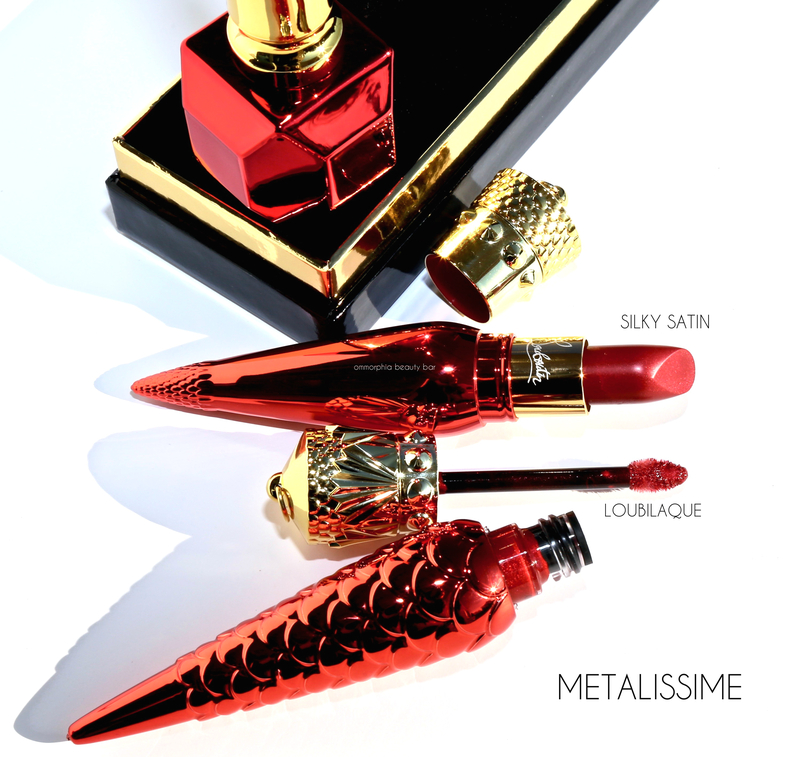 Rouge Louboutin Metalissime Silky Satin Lip Colour (CAN $120.00) | With stunning detailing found on both the cap & the tapered end of the tube, this is luxury lipstick done right. 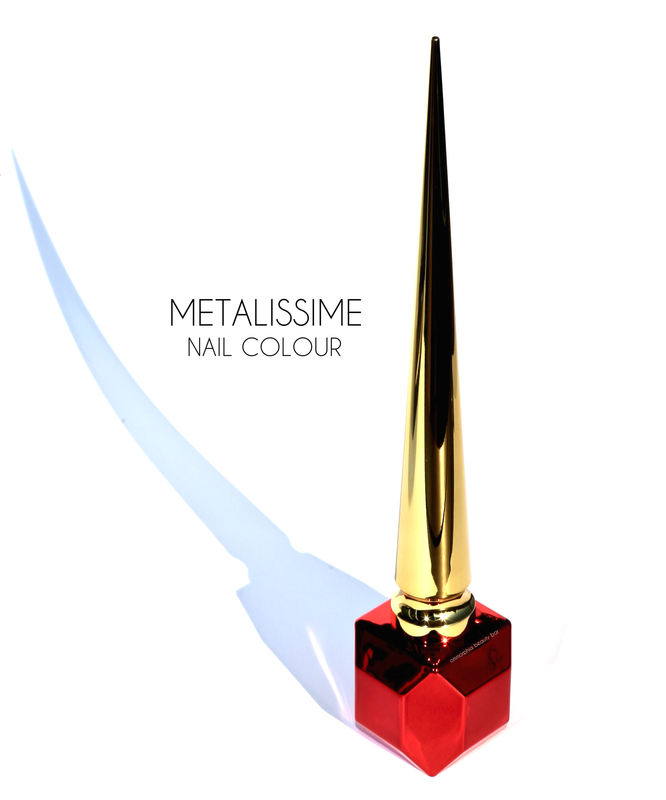 The colour is a mix of light red, deep rose, with touches of brick, and applies fully opaque from the very first swipe. The tapered shape of the bullet makes it a breeze to reach all of the lips’ contours (no liner was used in the swatch photo), and the finish is decadently rich — like velvet, in fact. Once again, the finish feels incredibly lightweight (I’d really like to know how they accomplished this) and as to staying power? Excellent, showing minor wear only through eating and/or drinking. Lightly scented as well. 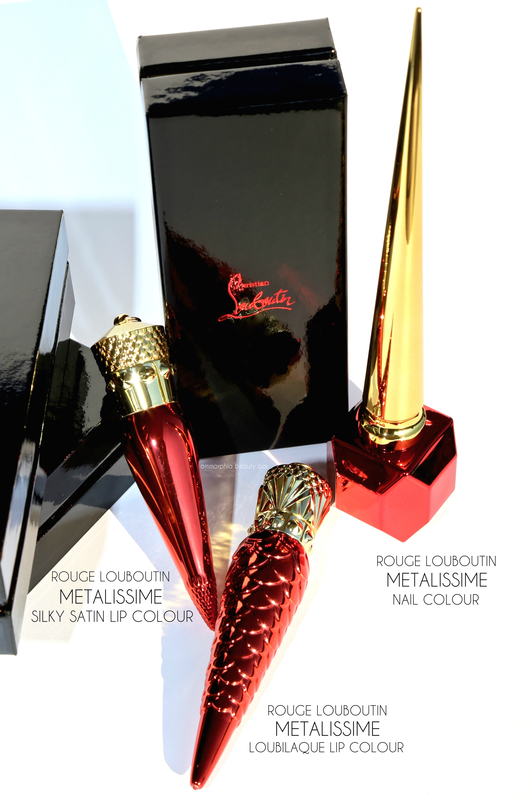 Rouge Louboutin Metalissime Nail Colour (CAN $65.00) | Housed in a metallic red hefty glass bottle and bearing the signature ‘stiletto’ cap (yes, literally inspired by the brand’s stiletto heels), I can guarantee you that this is the most lush candy-apple red hue you’ve ever seen. 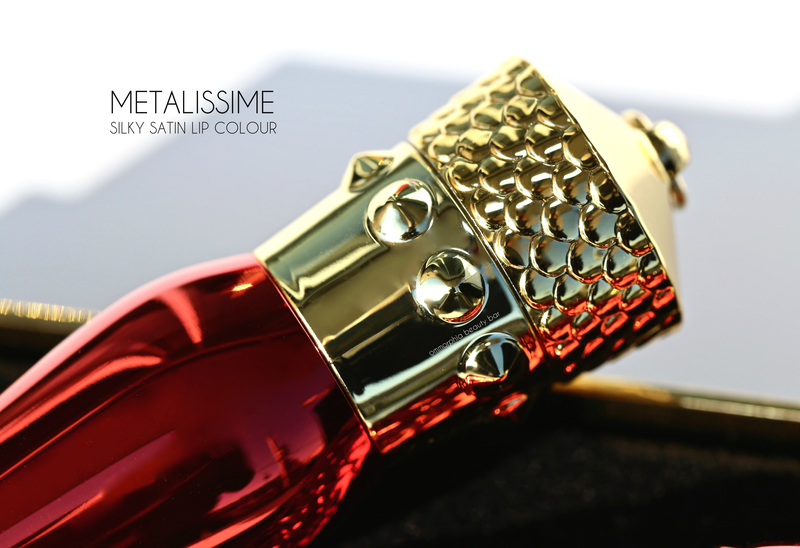 The unique formula has a special red pigment in the base to help deliver ‘opulent colour and lustrous, intense coverage’ and is also enriched with ‘shiny reflective pearls for a striking listening look’. All 100% true, in my opinion. There’s a slight learning curve in using this wand + brush; for the easiest application, I recommend holding it at its ridged base (as opposed to higher up the wand) which provides the best control. The brush itself is actually quite narrow and on the long side, but surprisingly not floppy, with the bristles showing an excellent flexibility. The narrowness of the brush works in its favour here; since the formula leans on the thick side, using a thin brush translates to more even strokes. Displaying a self-levelling flow, another feature is that zero brush marks are left behind, although do try and keep as steady a pressure as you can during application. As to the colour, you basically get full coverage with the first coat, although I prefer 2 for more depth of tone. The finish is nothing short of spectacular and appears to almost glow from within. 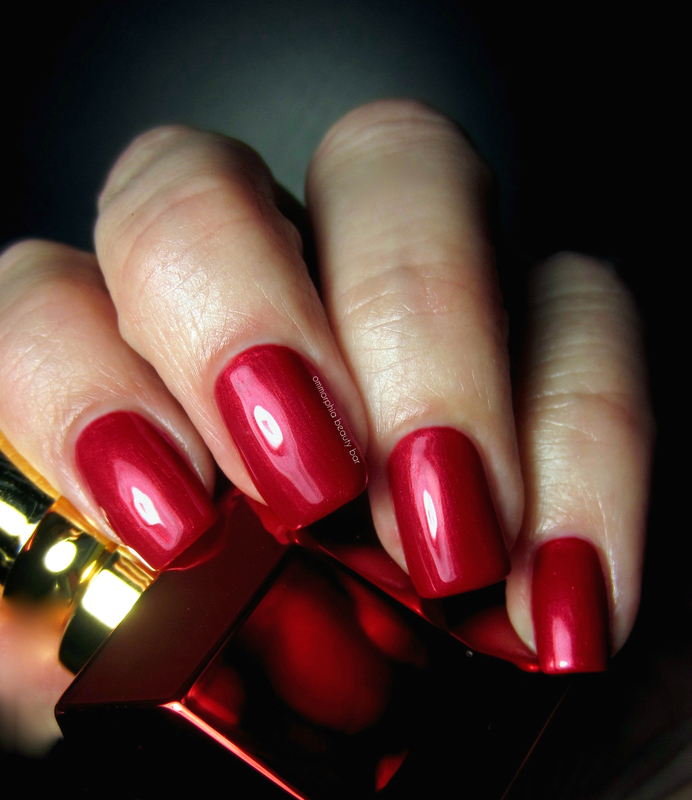 As with most intense reds, do not skip base coat first, in order to minimize any potential staining. Make no mistake about it; this is premium beauty and comes with a premium price. 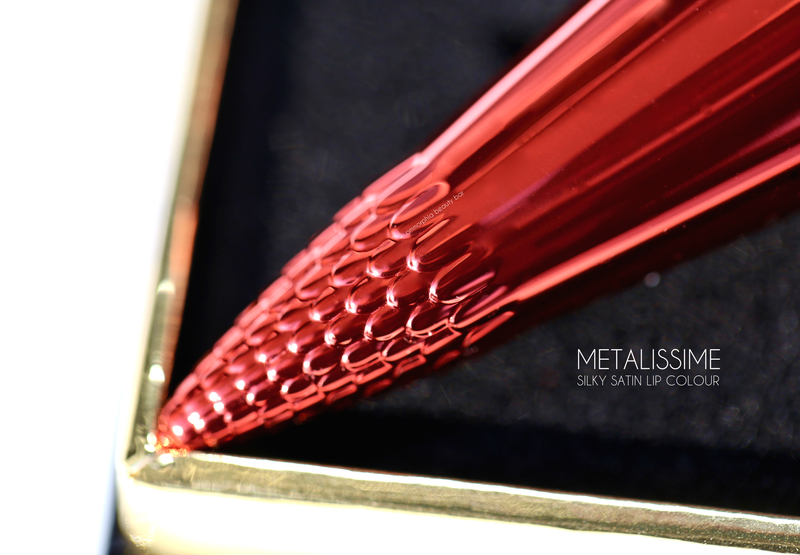 Also, keep in mind that this Metalissime collection is highly collectible and quite limited. Ok — now that THAT’s out of the way, let’s talk about the products: all three are unbelievable. In terms of visual aesthetics, there is NO other brand that does packaging like this, and yes, I admit that I’m a sucker for finely crafted exteriors. But it’s the performance of all three which has exceeded all my expectations of which, I might add, are rather high to begin with. 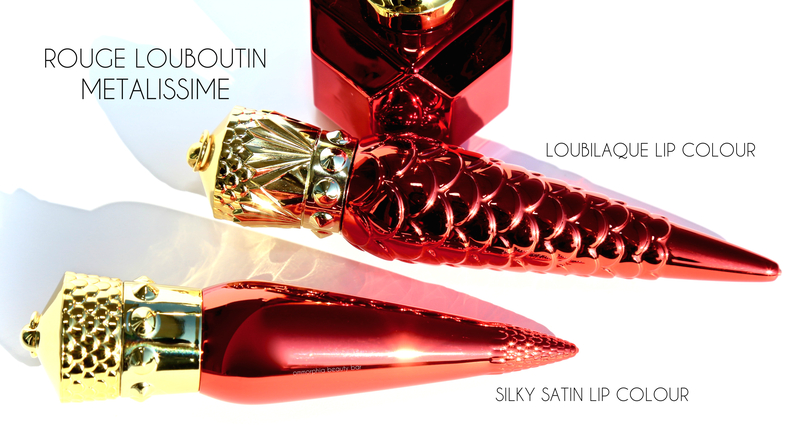 The downside is the cost, but you already know going in that Louboutin will set your wallet back. 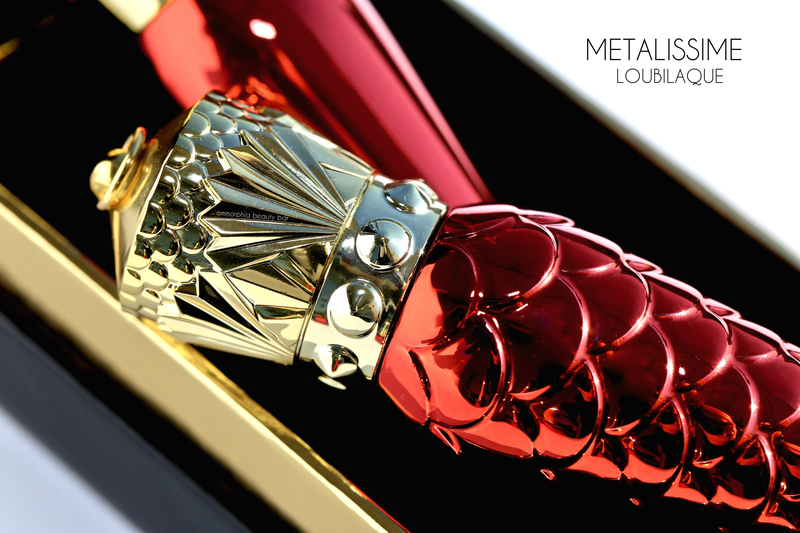 On the bright side, Christmas is getting closer and I couldn’t think of a more luxurious way to pamper oneself. Failing that, how about dropping some not-so-subtle hints to your loved ones? Wow! The polish is gorgeous!! It really is, I agree! 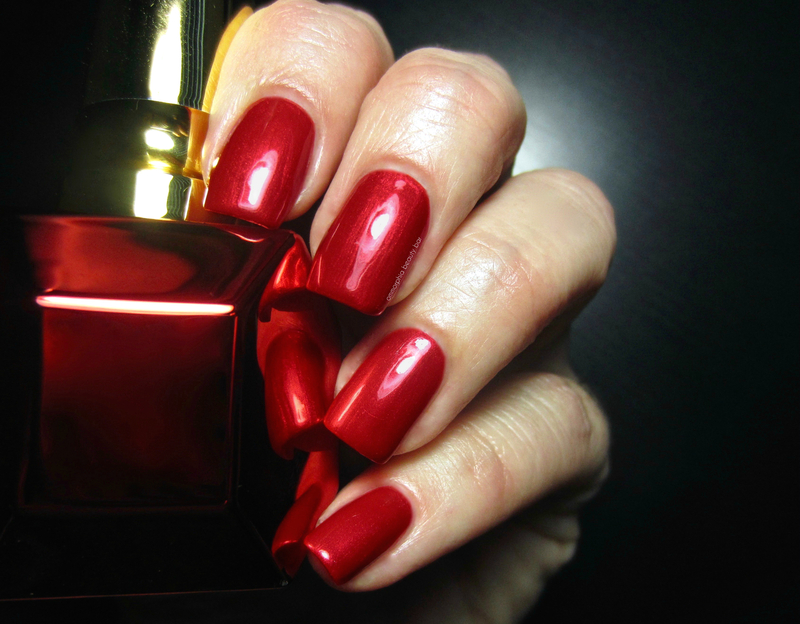 I can’t stop looking at my nails whenever I wear this shade! I can’t take my eyes off the photos! It’s sooo difficult to decide which product excites me the most! I think, the whole collection)) Now I feel very festive! Thank you for your exquisite review, Eugenia! Awww..thanks so much for the kind words, Vera! I confess that once I began shooting and watching everything, it put me in a festive mood as well! 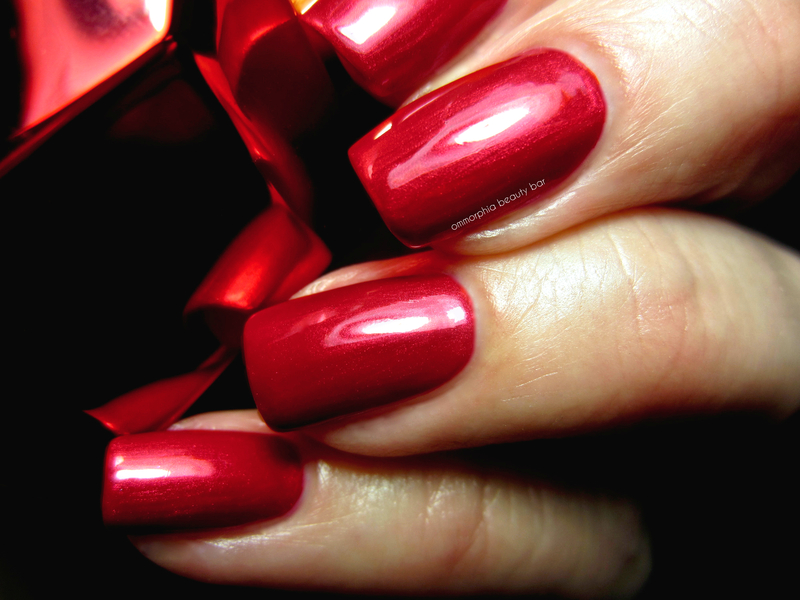 Something about the colour red is just so “Christmas”! !